The ultimate disaster film parody. A nuclear powered bus is going Non-stop from New York to Denver and is plagued by disasters due to the machinations of a mysterious group allied with the Oil lobby. When the driver is injured a washed up, down on his luck, but used to be great type, who as it happens, used to be engaged to the inventor's daughter is brought in to drive the giant bus which includes a one lane swimming pool and a one lane bowling alley. 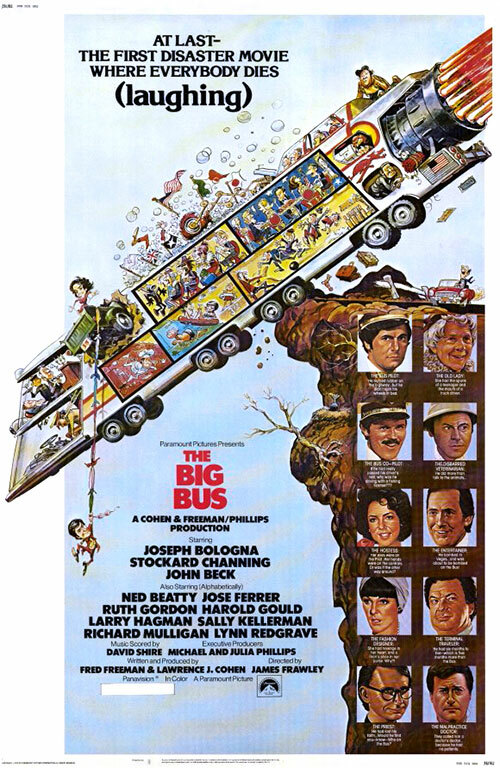 0 Response to "The Big Bus (1976) James Frawley "